Go global. 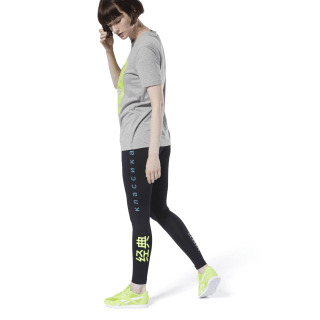 These women's leggings have a sleek design accented by bold Japanese characters. A contrast Reebok logo gives the tights a sporty touch.